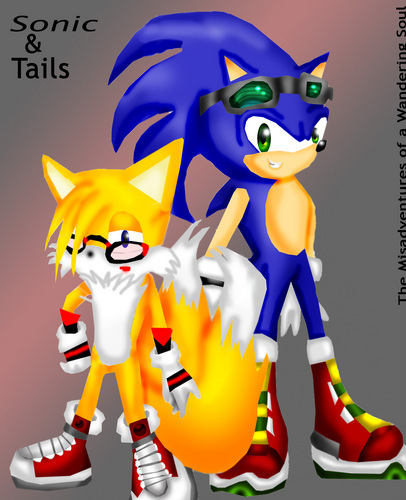 Sonic and teen Tails. This is what I think Teen Tails looks like. Look me up at deviantart.com! I'm Rosetta-Lee!. HD Wallpaper and background images in the 刺猬索尼克 club tagged: shadow sonic sonamy hedgehog tails sega amy riders.